To find out more about the Santa Monica Airport Artwalk, click HERE. Come by and say hi—I’ll be in my studio at Santa Monica Art Studios, studio #20. Artists: Sydney Croskery, Dani Dodge, Marielle Farnan, Ed Gomez, Claudia Parducci, Sabine Pearlman, Liza Ryan, Curtis Stage, Joe Wolek, Steven Wolkoff, and Tim Youd. “Internal Ballistics” explores the discomfiting beauty of morally fraught objects: bullets. In the current climate of the gun debate, what often gets lost is the cause of the destruction. This exhibition expands our understanding of the visceral and physical collision between what we know and understand about guns and gun culture, and what many know as a result of being on the end of the projectile. In Deborah Bay’s series “The Big Bang,” examining power, violence and energy, Bay isolates the casings and looks through the lens of impact patterns, remaining detached from the human meaning of projectiles and able to contemplate a willful ignorance of violence. “AMMO,” by Sabine Pearlman, takes the analytical approach, compelling the viewer to admire the craftsmanship and intact delicacy of objects whose raison d’être is obliteration. Her documentation of bisected live rounds exposes the intense thought and detail used to cause destruction of life. Garrett Hansen’s “Hail” lives in between object and impact. Each image is created from individual bullet holes. Shooting a gun is an individual act, and taking these impacts from shooting range to darkroom, the destruction is transformed into haunting beauty. Living in the void, these objects balance destruction with creation. Several works from my PLASTIK series are currently part of "Sea Change – The Politics of Plastic 2050" at S.C.R.A.P. Gallery—The Art Museum for the Environment, from September 23rd - December 21, 2018. According to a report by the Ellen MacArthur Foundation, in partnership with the World Economic Forum, by 2050 plastic in the oceans will outweigh fish. Opening reception: Saturday, June 30, 2018, 7-10 p.m.
Durden and Ray presents “Dragnet: 832", a multidisciplinary exhibition featuring the work of over 40 artists, kicking off the collective’s curatorial programming at their new gallery in Los Angeles’ Fashion District. The move to the Bendix Building places Durden and Ray in the company of numerous other artist-run galleries like JOAN, Chateau Shatto, Monte Vista Projects, Tiger Strikes Asteroid, PØST, and Track 16, as well as countless artist studios and ateliers, creating a hub of art and culture in the 92-year-old industrial building. "Dragnet: 832" is the second iteration of the show, which was originally conceived by Kio Griffith (Manhattan Beach Art Center, 2014). Hours: Saturday and Sunday, noon to 5 p.m.
HOUSTON CENTER FOR PHOTOGRAPHY: "Sight Lines: Looking at Guns"
In the United States, debates surrounding the right to keep and bear arms, as outlined and protected by the Second Amendment, have risen to a fever pitch in recent years. According to the Bureau of Alcohol, Tobacco & Firearms, between 2010 to 2013 the number of guns manufactured in the U.S. doubled from 5.4 to 10.8 million per year, and as of today, there is estimated to be between 270 and 357 million guns in the United States—ostensibly one for every man, woman, and child. This increase in manufacturing coincides with a rise in mass shootings nationwide. In light of devastating recent events, conversations about the gun’s visibility, accessibility, and impact in our society have become ever-present, and photographs of guns and gun-related violence have been important in shaping these dialogues across the political spectrum. Sight Lines highlights this discourse through the work of six photographers, who each explore the various cultural implications of the gun from its aesthetic qualities to the wounds it leaves behind. How do images of guns, gun culture, and gun violence shape debates about gun control? What is the difference between portraying abstract and explicit violence? And, how does photography, as both an evidentiary medium and an artistic tool, define and reflect the arguments on both sides? These are some of the questions this exhibition explores. LOFT AT LIZ's LOS ANGELES: "GUNS"
The Loft at Liz’s Gallery (Los Angeles, CA) debuts its exhibition dedicated to the national dialogue on gun violence on Saturday, September 24th, 2016. The show, titled simply “GUNS”, features an astounding 23 artists’ works on the titular subject. This exhibition is jointly curated by art historian Betty Ann Brown, collector Dr. Anita Storm and gallerist Liz Gordon. PHOTOVILLE 2016: "America, Point Blank"
I am thrilled to have work in this year's Photoville as part of an exhibition, "America, Point Blank”, curated by Stephanie Heimann, Sabine Meyer, and Dustin Drankoski of FOVEA EXHIBITIONS. (of a shot, bullet, or other missile) fired from very close to its target. (of a statement or question) blunt and direct; without explanation or qualification. The summer of 2016 has created a turning point in the conversation about guns in America. Discussions about responsible gun ownership have devolved into political rhetoric. From Donald Trump’s implications about “Second Amendment people” to “I just don’t want you to be shot by someone who shouldn’t have a gun in the first place,” the violence has dramatically escalated. Civilians and police alike have become victims as bystanders, as targets. The questions remain: How did we get here? How do Americans stop the bloodbath? BRATTLEBORO MUSEUM: "Up in Arms: Taking Stock of Guns"
Guns exert enormous physical, psychological, and symbolic power over Americans. They are a tool to some, a public safety hazard to others. Issues of race, economic inequality, personal protection, as well as the meaning of the Second Amendment and the concepts of Liberty and Justice underpin our deeply held positions on guns. Discussion of their use and regulation exposes deep fissures within communities across our country. Up in Arms: Taking Stock of Guns features work by Liu Bolin, Linda Bond, Kyle Cassidy, Madeline Fan, Susan Graham, Jane Hammond, Don Nice, Sabine Pearlman, and Jerilea Zempel. The exhibit delves into our relationship with guns, explores the influence they have on visual artists, and, we hope, will provide a platform for constructive discussion about guns in our society. "Bullet Points" at Griffin Museum opens with a BIG BANG - front page coverage! I am excited to have work in this year's Photo LA, 25th Annual International Los Angeles Photographic Art Exposition, as part of the LACP exhibition booth. GRIFFIN MUSEUM OF PHOTOGRAPHY: "Bullet Points"
“The paradox at work in each photographers’ body of work shown in “Bullet Points” is that there is an allusion to beauty while indirectly stirring, for the viewer, contrasted ideas of chaos, death, and destruction,” says Paula Tognarelli executive director of the Griffin Museum of Photography “Since ancient times the act of violence has held our attention, sometimes to the point of desensitization as in the Roman arena,” she says. I've happily donated a print to support VENICE ARTS. Consider collecting and help this organization thrive! I am delighted to partake in this important event for LA FAMILY HOUSING, organized by the amazing Trine Churchill. 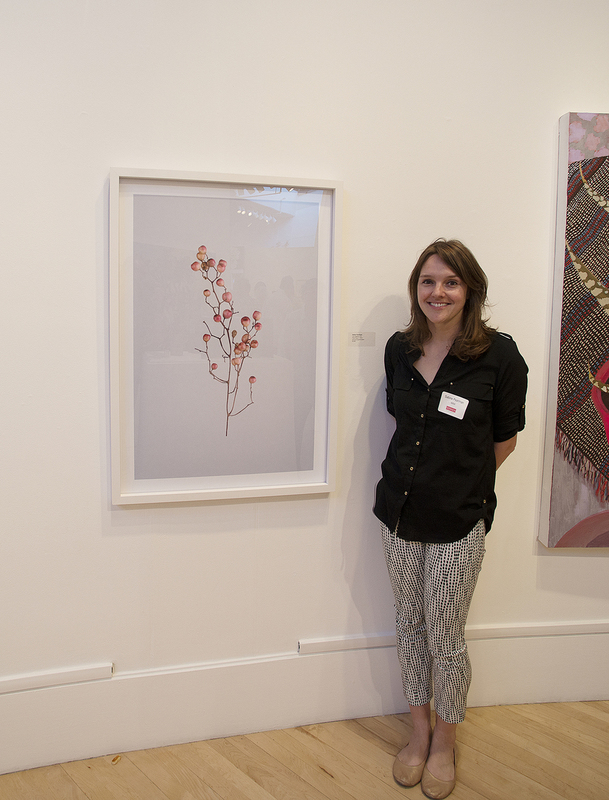 These two pieces are on display at the 2015 SMC Alumni Exhibition. Please join us for the 11th Anniversary Open Studios Celebration at Santa Monica Art Studios. Would love to see you in my studio, #20!